High quality, rugged construction is built into every switch that PC&S sells. 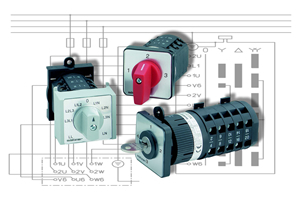 Whether your requirement is for a control switch, an instrument switch, ON-OFF switch, Multi-step switch, a changeover switch, a voltage change switch, PC&S has the right switch for you. Switching angles of 30 degrees, 45 degrees, 60 degrees and 90 degrees with up to 12 switching positions that can be provided. 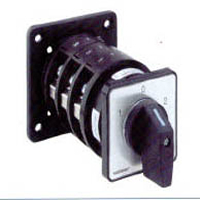 Forced open contacts on the switches fulfill load break requirements up to 690 volts. Our switches feature double break, silver alloy (gold optional) contacts with various ratings and high interrupting capacity for long life and reliable operation. Switch to PC&S and we are ready to assist you in the application. We have a large library of standard generator switching application programs to choose from to handle your specific parameters. UL and CE listed, too. Let us show you the difference quality makes!